I feel like I should preface this cake by saying it's a little bit weird. So, there. You've been forewarned. It's a little bit weird, but according to reliable sources, aka a boy, once you start eating it, you kind of can't stop. So that's something. I went in search of some kind of traditional Irish dessert for St. Patrick's Day, and found there were not that many. Or, not that many that sounded very good. Then I came across this cake, which is made with potatoes, which is very Irish indeed. (SIDE NOTE: Did you know that corned beef and cabbage is actually more of an American Irish tradition than an Irish-Irish one? KNOWLEDGE!) Anyway, I decided to give it a go. 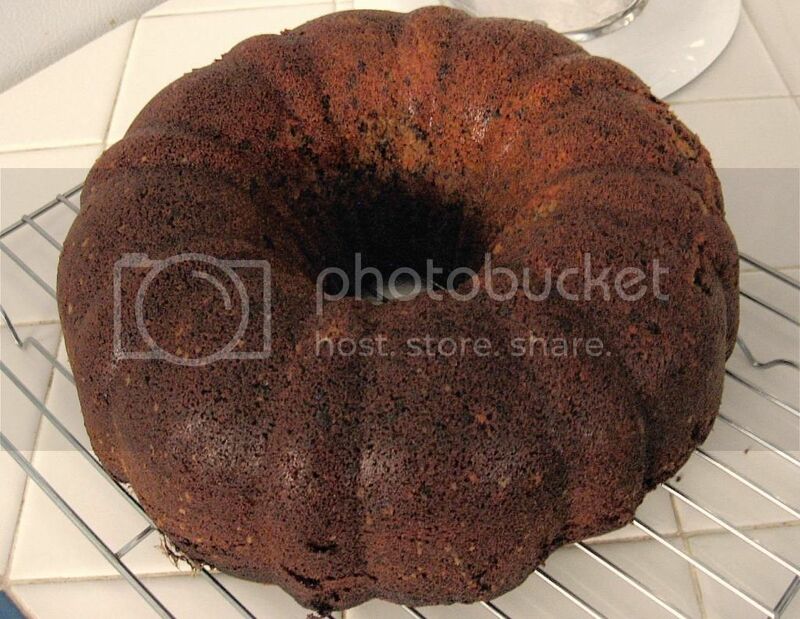 Chocolate potato cake? Sure! 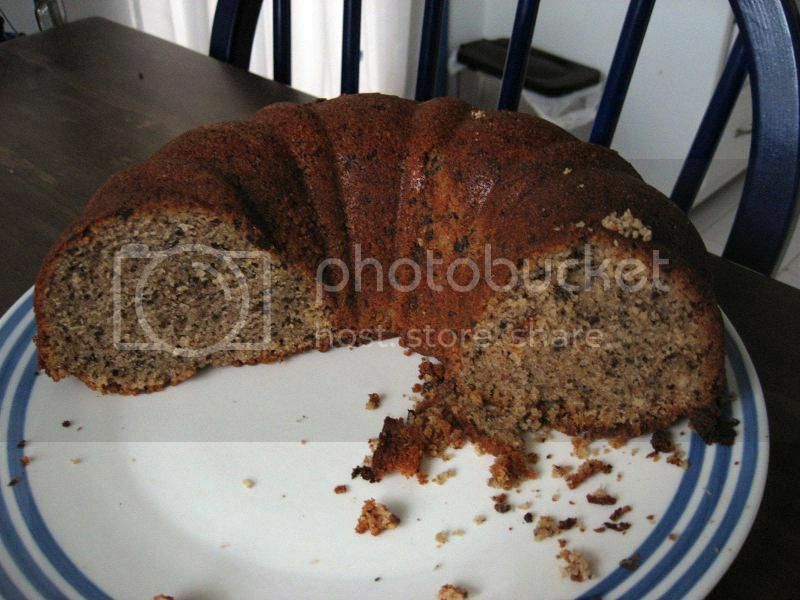 This cake did not turn out looking at all like the picture to the corresponding online recipe. 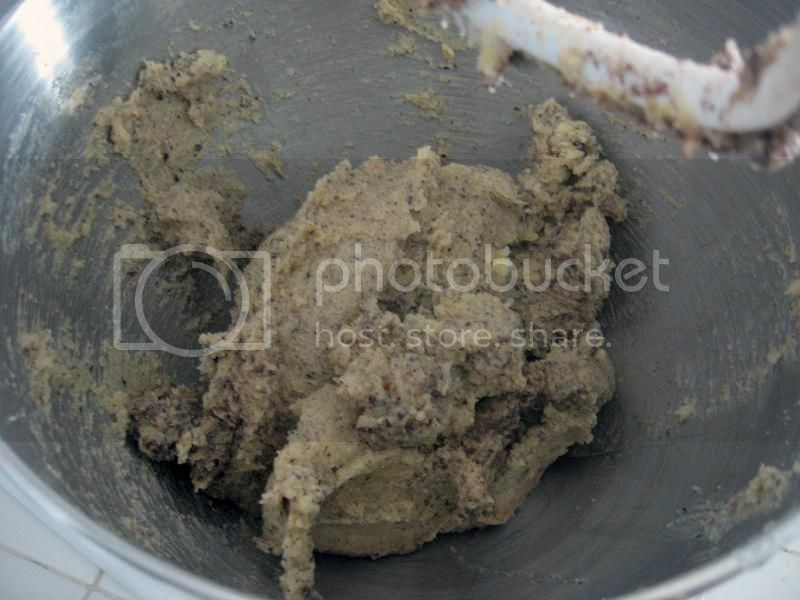 The bake time on said online recipe was WAY bloated. Like, the edges of mine were a little too done and it hadn't even baked the entire time suggested. I adjusted the time below (a whole half hour shorter! ), but this may also have to do with non-stick versus plain metal pans, so just keep an eye on it once you pass the hour mark. You'll need a Bundt pan for this, or a tube pan. If it's non-stick, just spray some SPRAY in there to be sure. If it's not, you'll need to coat the pan with some butter, then use 1 1/2 Tbsp flour mixed with 1 1/2 Tbsp cocoa powder and flour the inside of the pan. Set that aside. Now, if you're using real potatoes, you're going to have to boil them and mash them. Two medium-sized ones should do it. I boiled mine in their jackets for about 40 minutes, starting them in the water cold first. After that, peel, then mash per your choice. You want them smooth, no chunks. So if you have a ricer or a sieve, good on you. I used my mixer with the whisk setting. Worked fine. 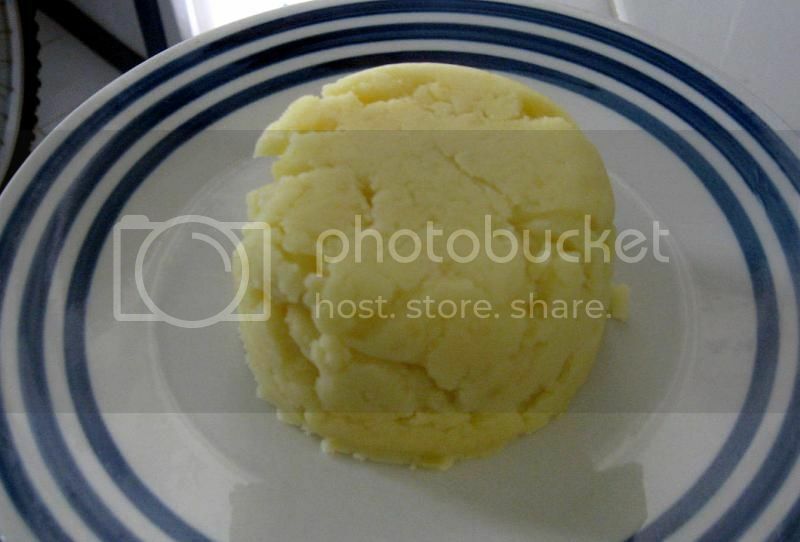 Otherwise, I suppose you an use a boxed mashed potato. But that's just sad. Once these have COMPLETELY cooled, get started on the rest. I mean, no warmness in there. None. Grate your chocolate on a fine grater, or just use a food processor. Whichever you prefer. 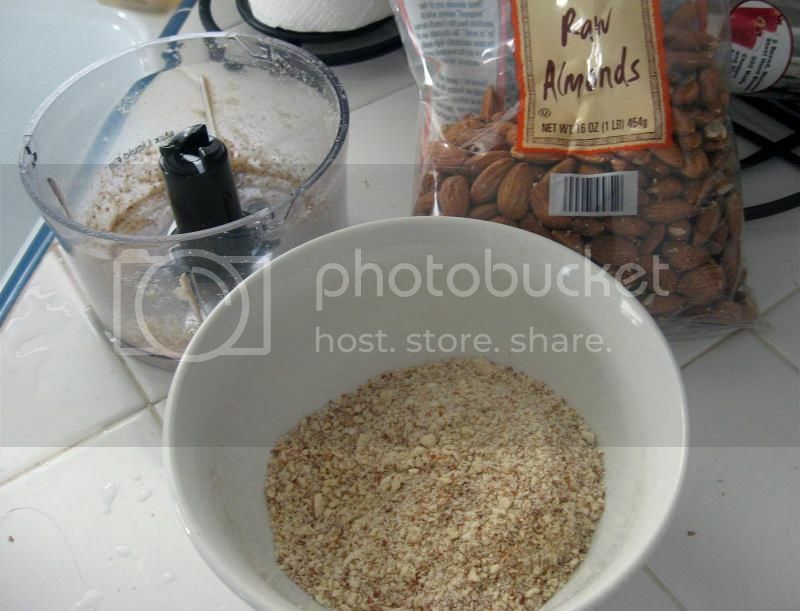 If you also have whole almonds to grind, do that now too and set those aside. 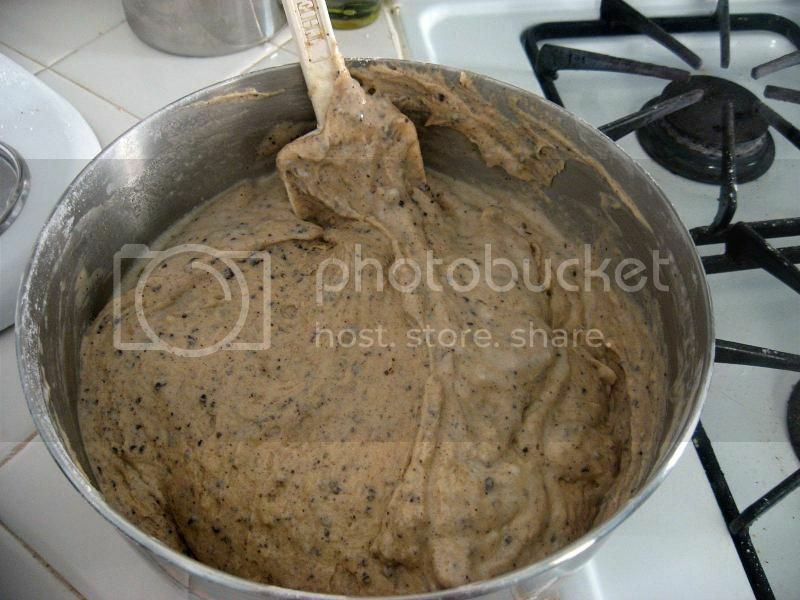 Sift the flour with the cinnamon, baking powder and salt in a large bowl, set aside. 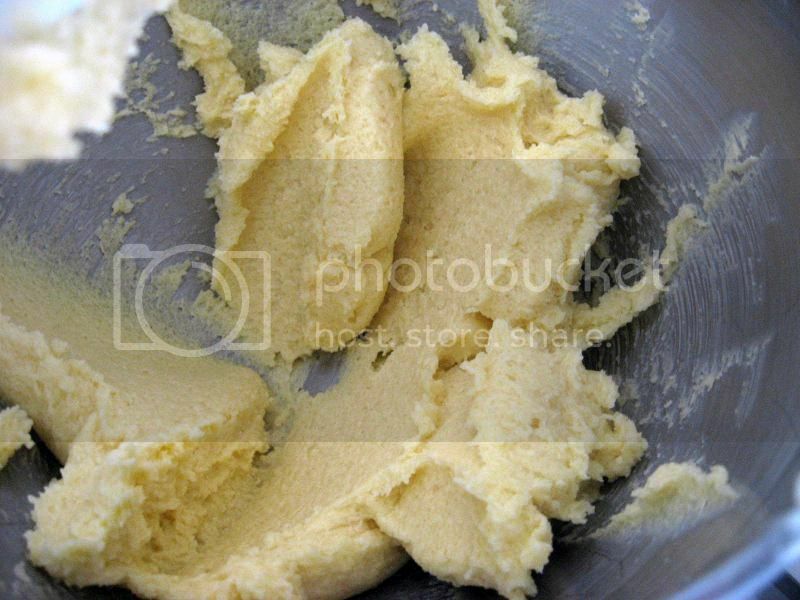 Cream softened butter with sugar until light and fluffy, usually takes 1-2 minutes or so. Add in your egg yolks one at a time, beating in between each addition. Keep the whites aside for now. Stir in the grated chocolate and ground almonds. Add in the potato and stir again. 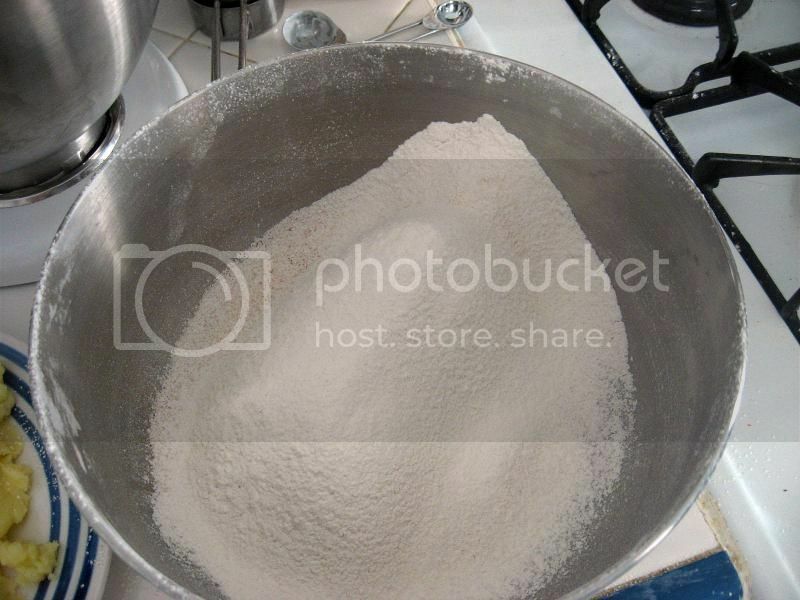 Add the flour mixture alternately with the milk, beating gently until smooth after each addition. In a separate bowl, whip the egg whites until it starts to form soft peaks. Fold these into your batter. Spoon into your prepared pan and tap once on the counter to settle. Bake for 1 1/4 hours, then check whether the center is done by sticking a toothpick or tester in the middle. If it does not come out clean, bake for another 15 minutes. Remove from the oven and allow to rest in the pan for at least 20 minutes before removing from the plan and cooling on a rack. You can then either leave it as is, frost with frosting, or dust with powdered sugar. Up. To. You! 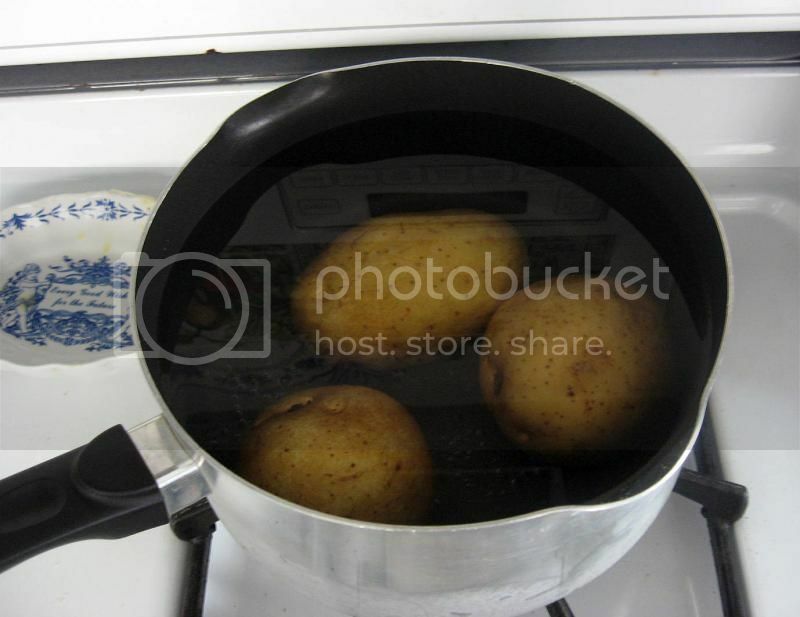 Start with boiling some potatoes. If yours are these size, you really only need two. Grind up your almonds. This photo represents more than you'll need for the recipe. Grate your chocolate however you prefer. I used a food processor, as you can see, and used 3 cubes of baking chocolate. 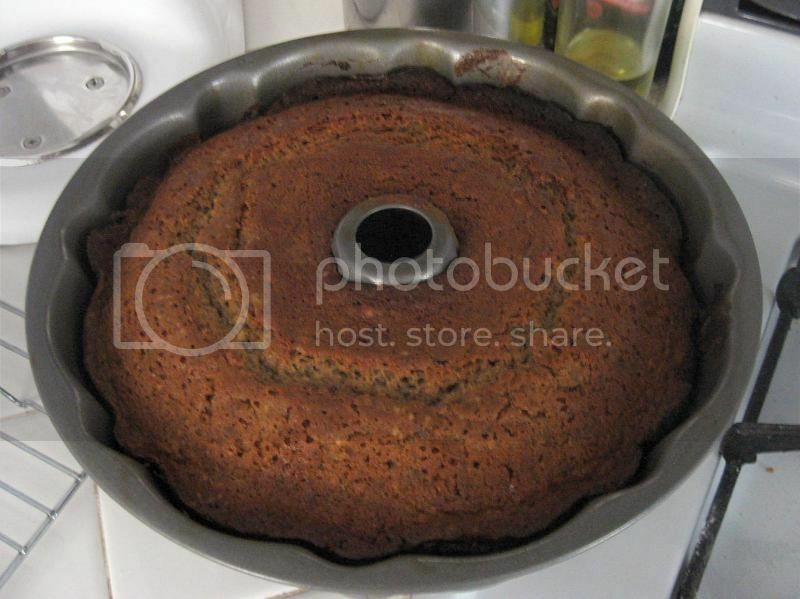 I suspect you could also just use cocoa instead if you want your cake to be more evenly chocolate-y. 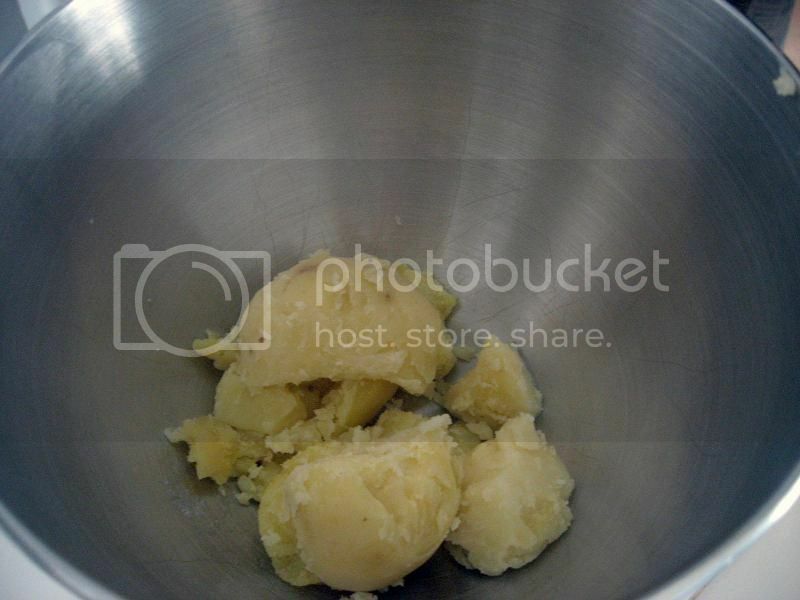 Once your potatoes have finished boiling, peel and mash or rice or sieve them however you would like. I used my mixer. 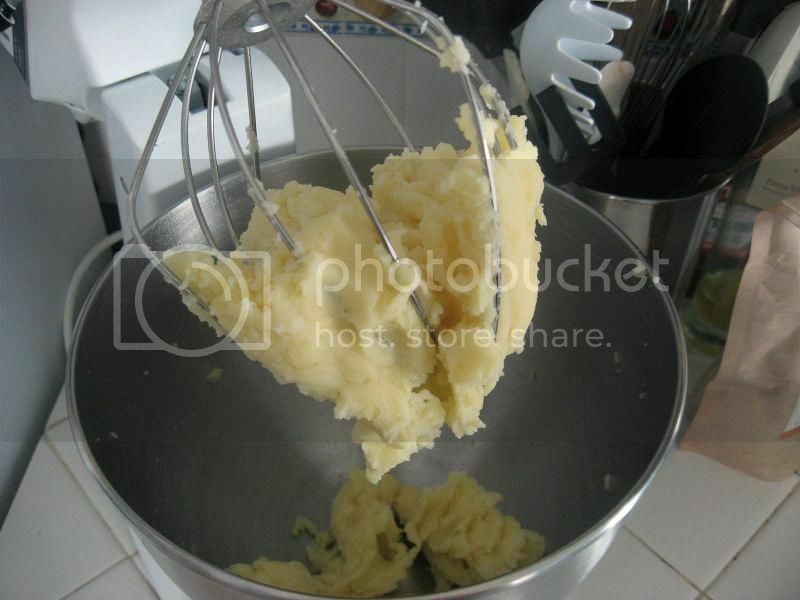 As you can see, the whisk attachment worked quite well to "mash" them. Take a cup and set them aside. I mushed this down onto the plate so as to cool down faster. You don't want any warmth in your potato for the cake. 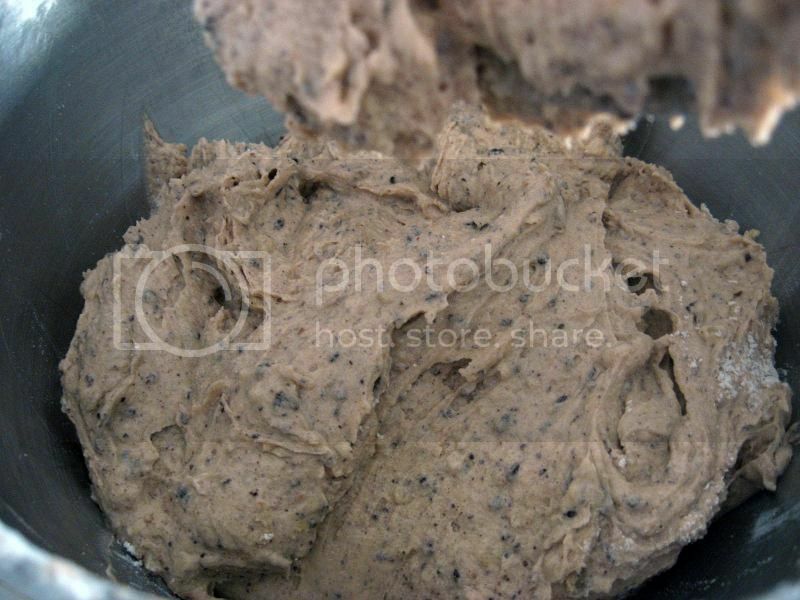 Sift together your flour, cinnamon, baking powder and salt, and set aside for now. 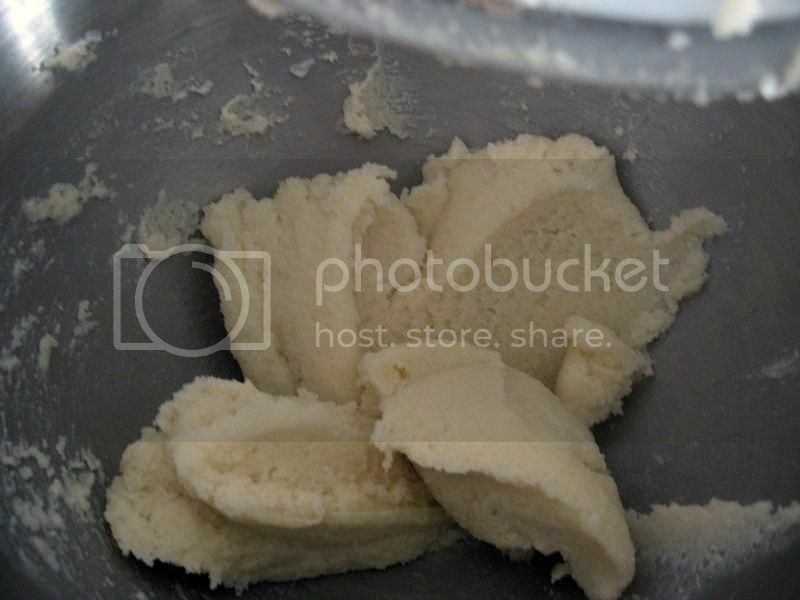 Beat your granulated sugar with your softened butter until light and fluffy. Add in your egg yolks one at at time, beating after each addition. Add in the grated almonds and chocolate. 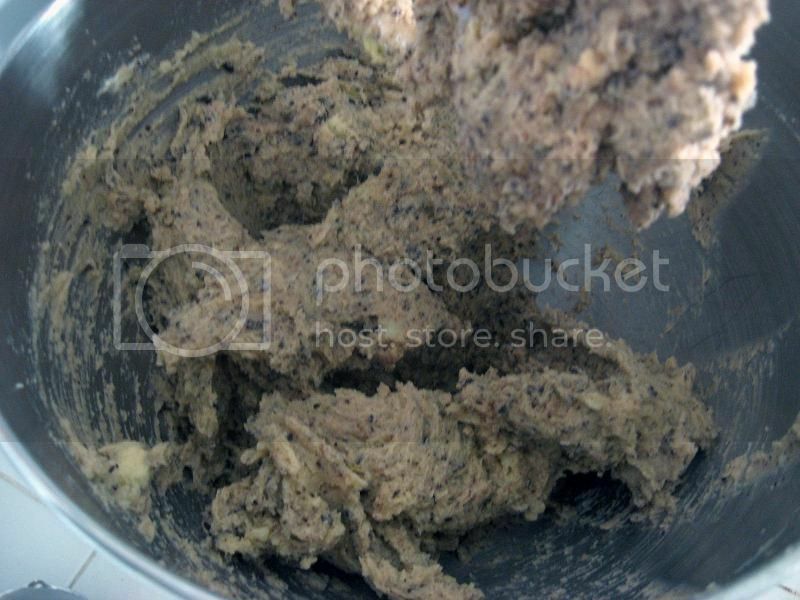 Next, mix in the potato, assuming it's cool. Alternate the flour mixture and the milk and mix, mix, mix. This will probably try to gloop up the sides while you're mixing. I used my arm to cover it, like a pro. Yeah, right. In a separate bowl, you will have whipped up your egg whites until forming soft peaks. Then fold those into your batter like so. 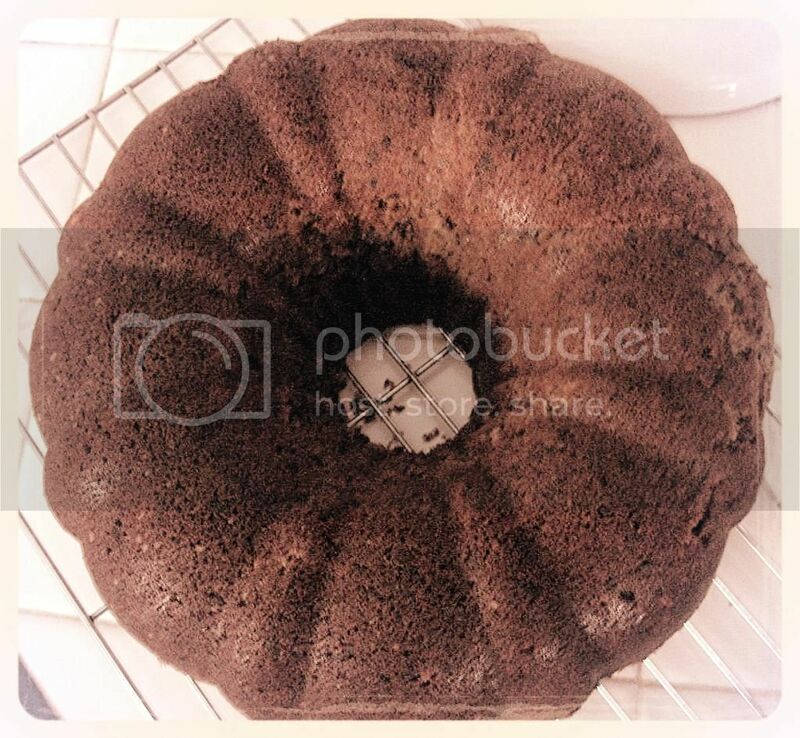 Distribute evenly in your prepared bundt pan and bake for 1 1/4 hours. Test the center for done-ness, and if it's not done, by golly, bake it some more. Check every 10 minutes or so. After you've let it cool in the pan for at least 20 minutes, invert onto a cooling rack to cool the rest of the way. Yours will hopefully be not quite as dark as this one. I could've dusted with powdered sugar or made a chocolate frosting to make this prettier, but we decided to opt for eating it as it was. The outside crust part was kind of hard, but the inside was really moist, which I was concerned about since it seemed like I was over-baking it. 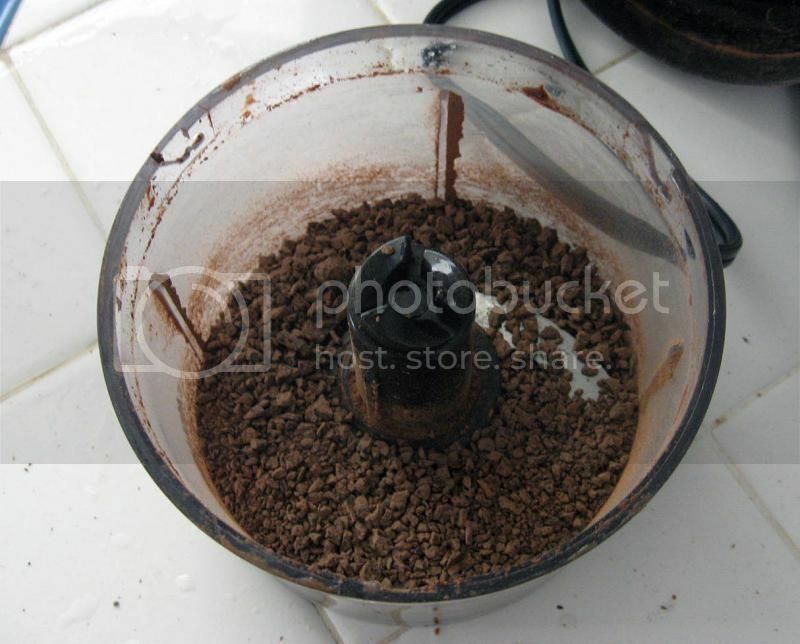 If your chocolate is more finely grated, it will probably look a more uniform chocolate color rather than sort of like a mini chocolate chip cake like so. Very changeable depending on your own style, apparently!